From the mechanics of walking up a flight of stairs to how smart phones work, physics touches our everyday lives. However, too many students are either intimidated or not interested in it; it is our goal to change that. 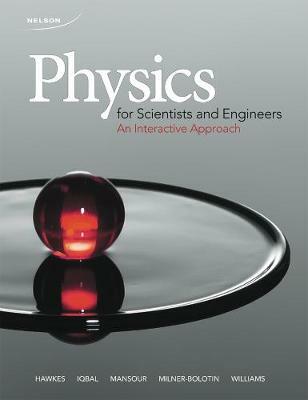 Physics for Scientists and Engineers: An Interactive Approach provides a relevant approach to the subject to match the Canadian curriculum and better reflect this fundamental, multidisciplinary, inquisitive, and inspirational science as it applies to Canadian students and instructors. Taking a PER-based (Physics Education Research) approach, the text draws from the best examples and applications from around the world to present physics as the creative process it is, and to help the reader feel the thrill of discovery.